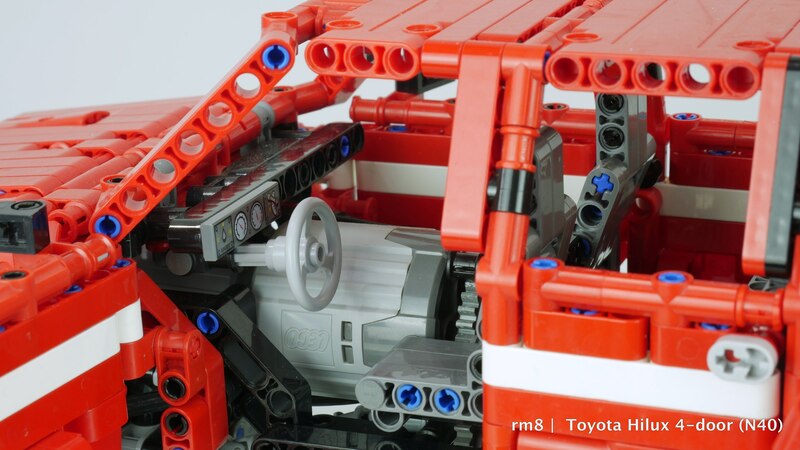 Hello, and welcome back to Toyota Technic showroom. I did this model for a long time, almost 3 years of sketches, prototypes, different version. 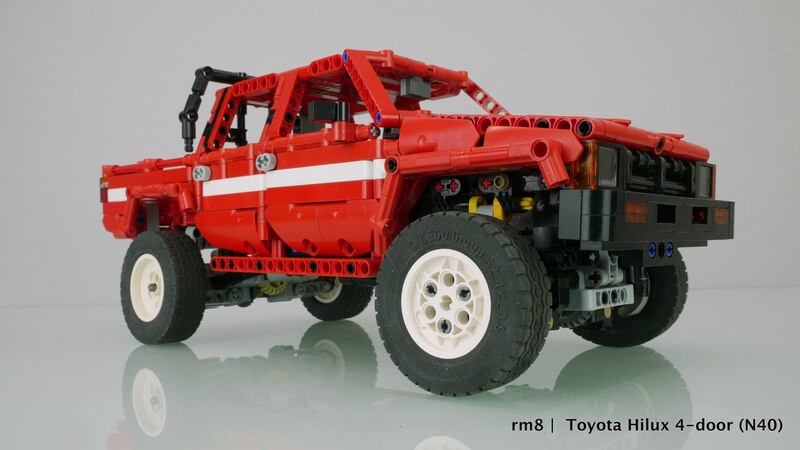 And now I am ready to stop and say: "enough"
After FJ series with a bulky chassis and wobbly steering I want something lighter and more accurate at steering. 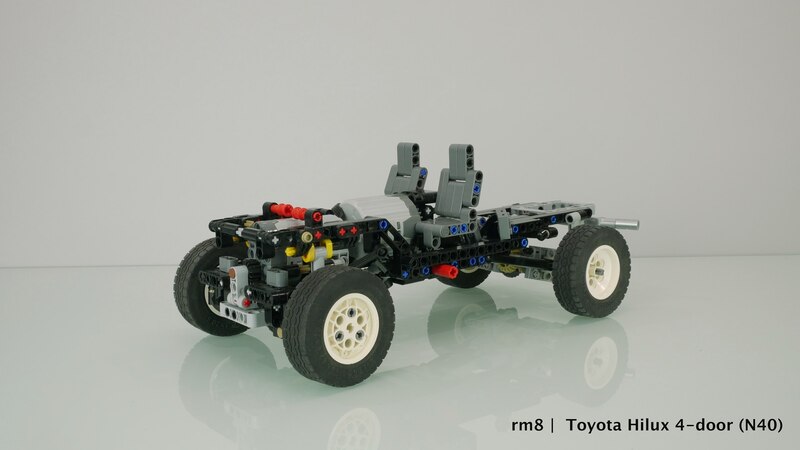 So I started with a new chassis with Servo motor mounted on front axle. This is not realistic, but steering backlash is almost zero. 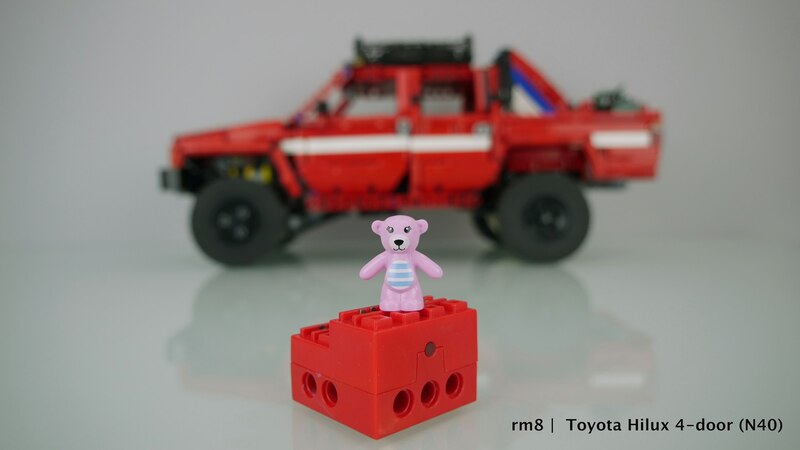 Remembering the FJ, and its "high" frame with aux M motors inside (winch), i decided to remove any extra fucntions except driving. 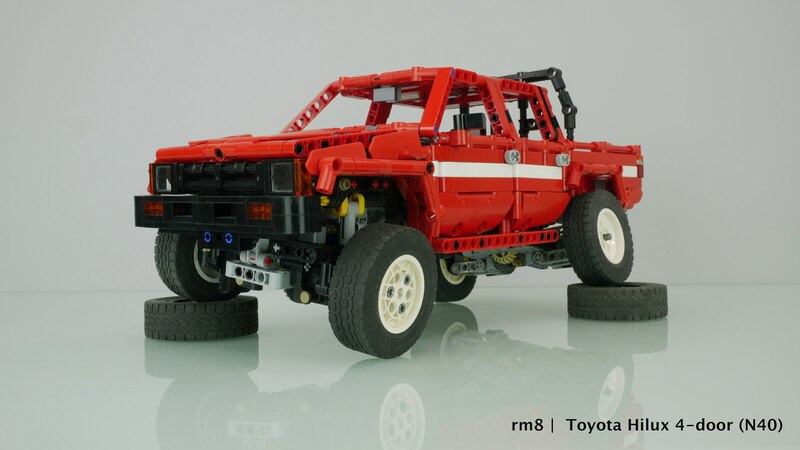 Hilux's chassis is thin and light comparing to FJ. And one more important thing is that the body is removable now. I can remove one body and use another one. 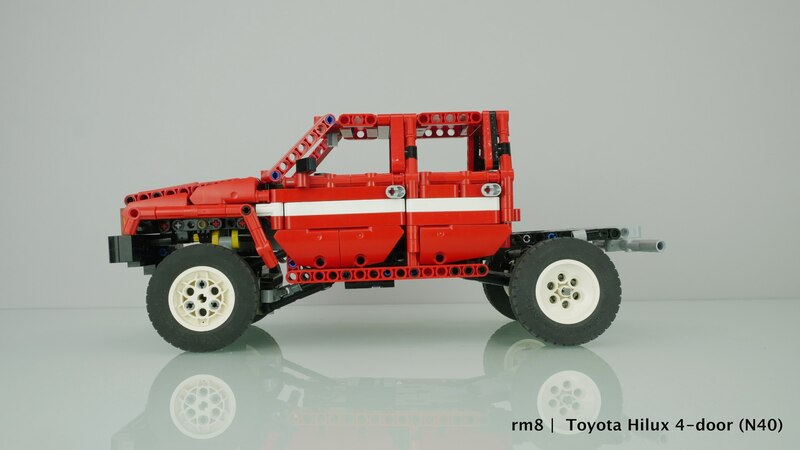 I do not need personal chassis with all that expensive motors for every modification of Hilux (at one of the moments I have 7x FJ's assembled with full electrics at each). 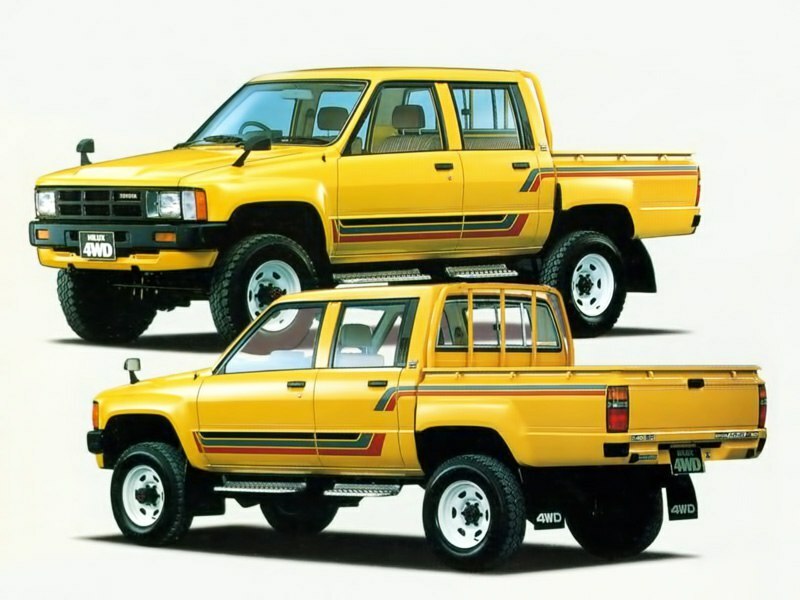 This is Toyota Hilux 4 door double cab version, 4-th generation that was produced from 1983 to 1988. 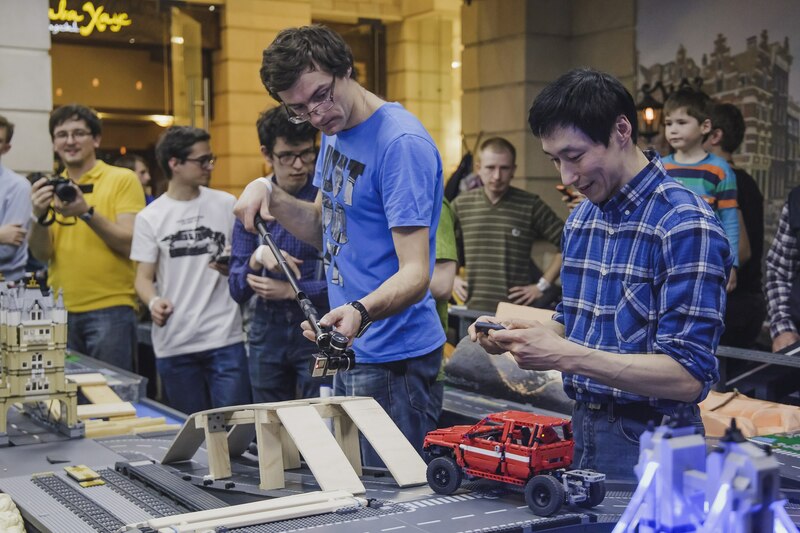 Model of this Gen was presented both with solid front axle and independent front suspension. 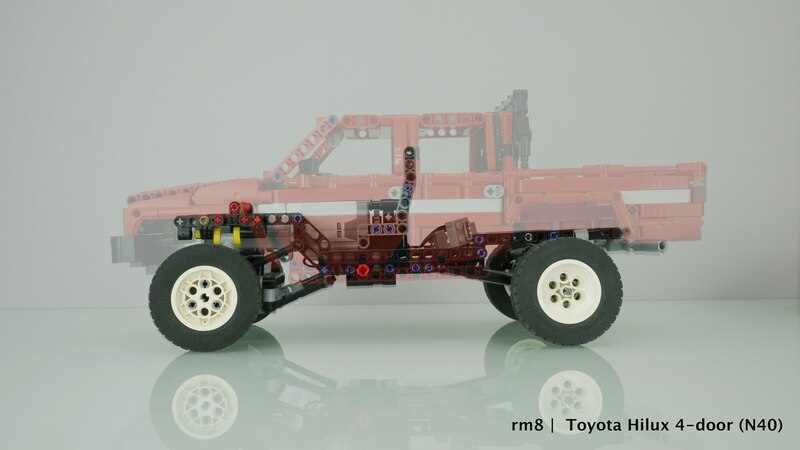 My is early version (83-85) with solid axle. 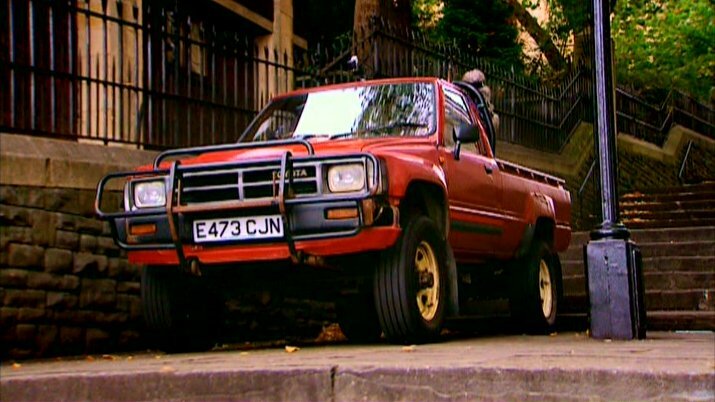 You can see this genertaion Hilux at Top Gear "Kill a Toyota" episode, and Back to the Future movie with single cab and extra cab version. Black wheels are painted with spray-paint. Saloon is for 5, but rear bench is foldable, and this is the only place to hide battery block. 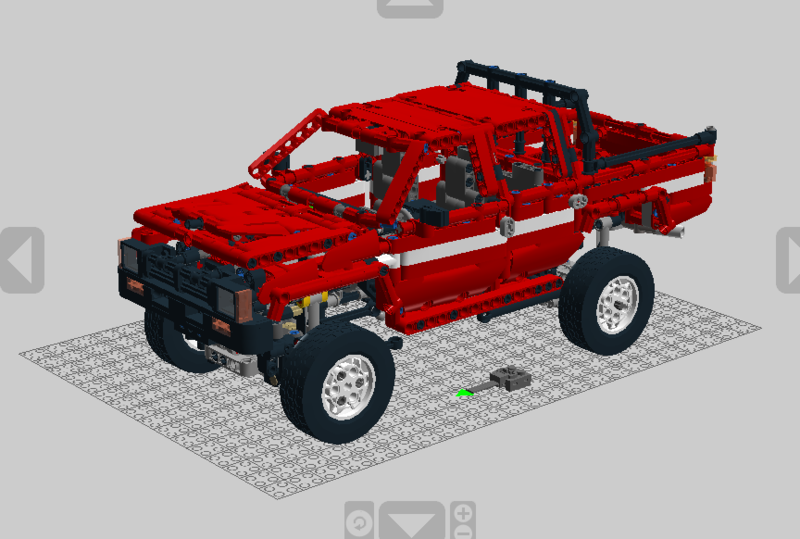 Removable pickup bed and cab, I can also remove front bumper, doors and front fenders for larger wheels, for example. 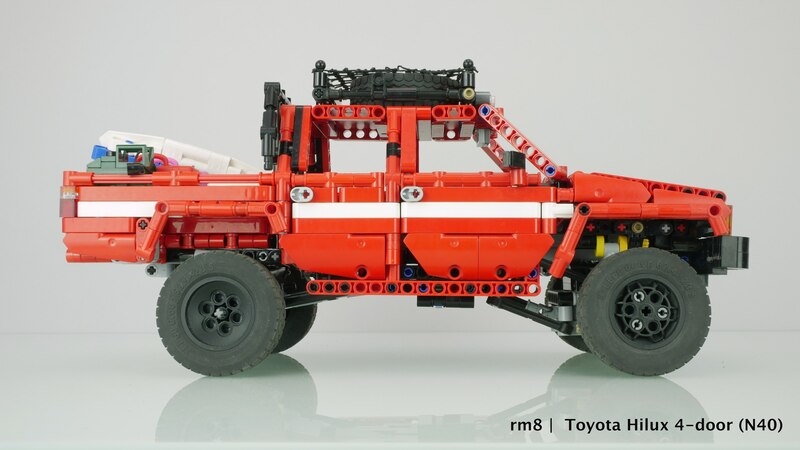 I think you are definitely one of the best lego crawler builders! 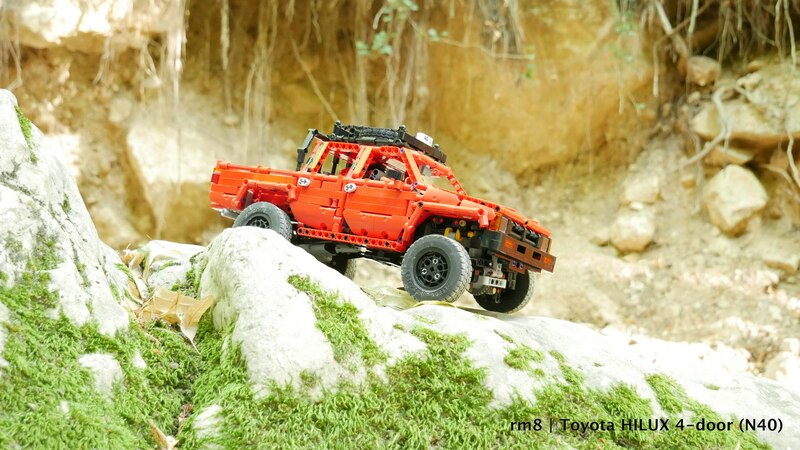 Love the hilux! Btw, do you work for toyota? 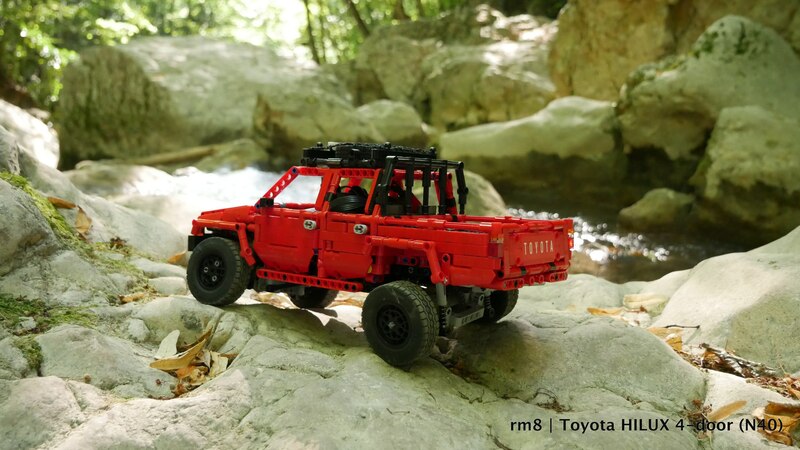 Great build and fantastic photo's...always liked this truck!! 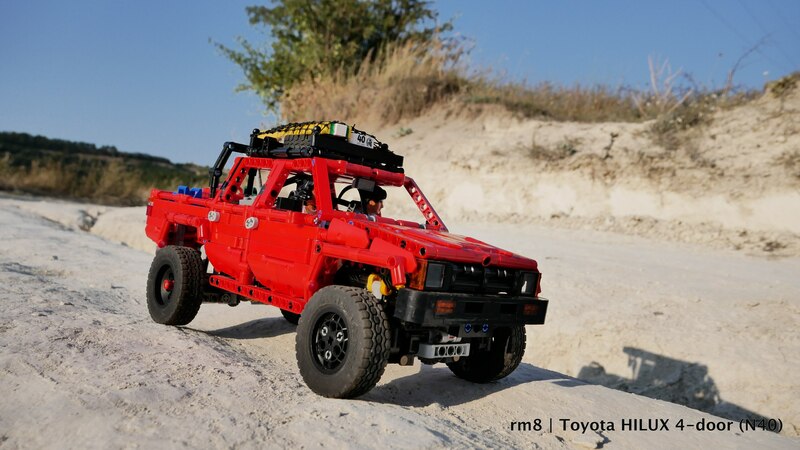 Awesome build.. Make the top gear hilux next! 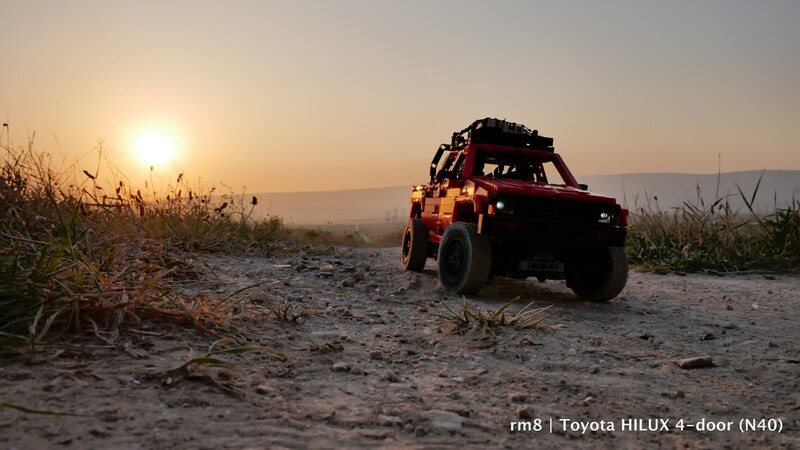 i have always been an avid toyota fan, and this is no letdown for sure! 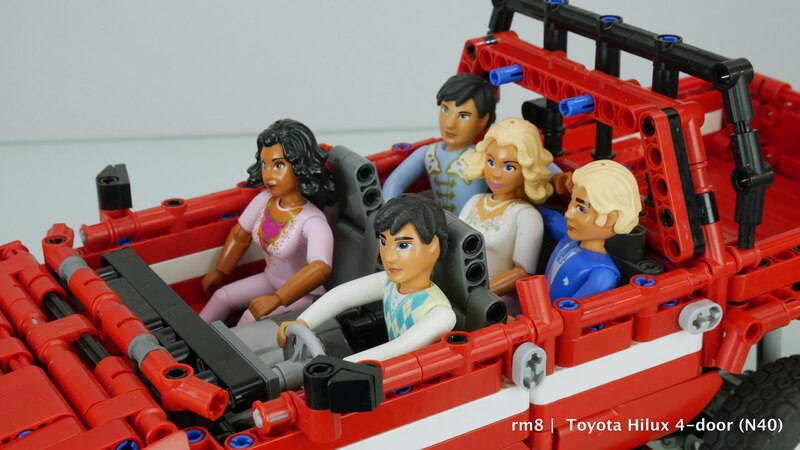 glad to see you returning to the toyota models! Great performance from this truck! 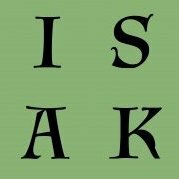 Love the simplicity of the design, it has what it needs, nothing more, and it works really well! 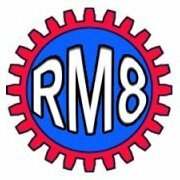 Great MOC with great and long video, we have to create a subforum for elavorated movies, I feel that a regular MOC with great video, it is not this case, will be better than an incredible MOC without it. This is awesome, I love your attention to detail! 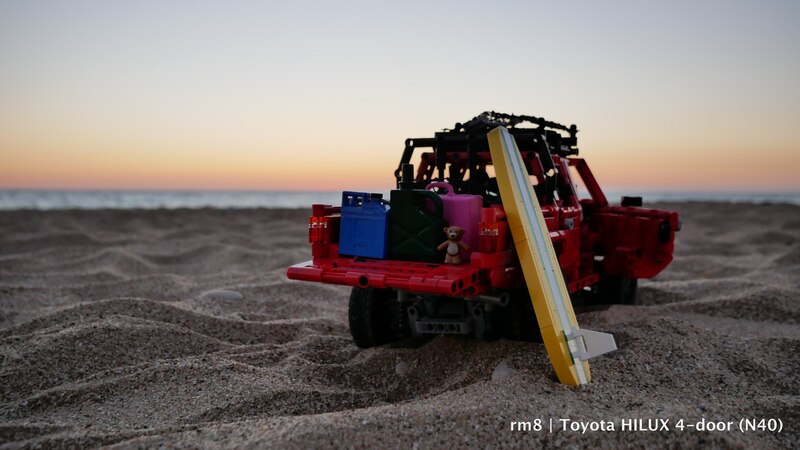 It's instantly recognizable as a Toyota Hilux, not to mention your photo shoot is above and beyond incredible!! 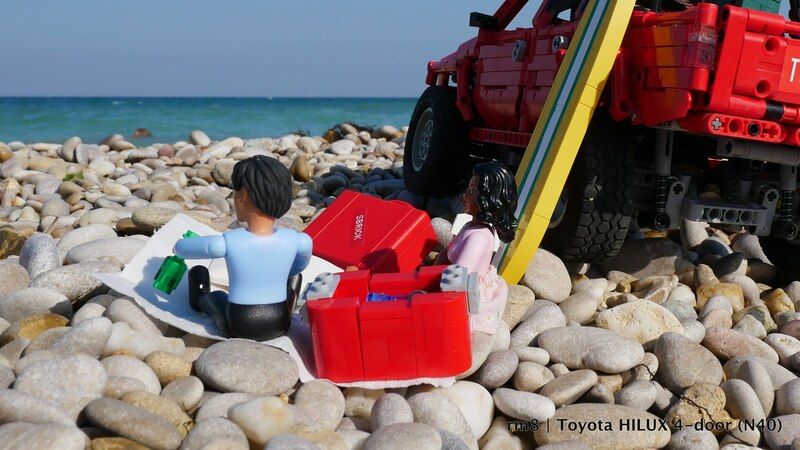 Fantastic Toyota (as usual), hat off for your commitment, the result reflects every spent hour. It was a pleasure to watch the video too, great journey! 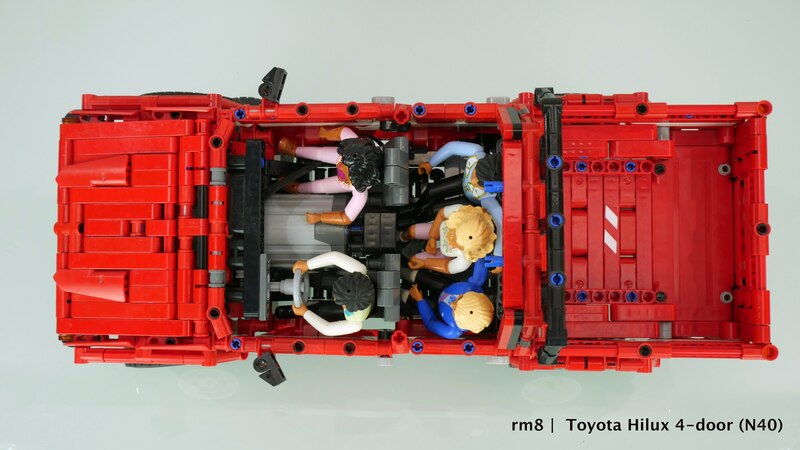 Is it just me, or... is the driver Belville figure... Madoca? Thank you. You have a nice airport tow truck. Is it legal to have own aircrat in you country? Yes, that's he. Model is approved by Madoka. 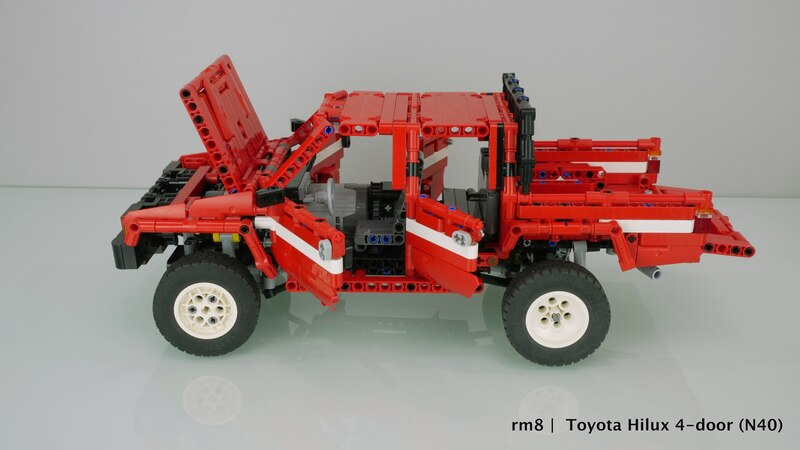 I think you are definitely one of the best lego crawler builders! I will double that. Every creation from you is so neat. And the performance is always incredible. As per this particular MOC, I can see why It had taken three years. 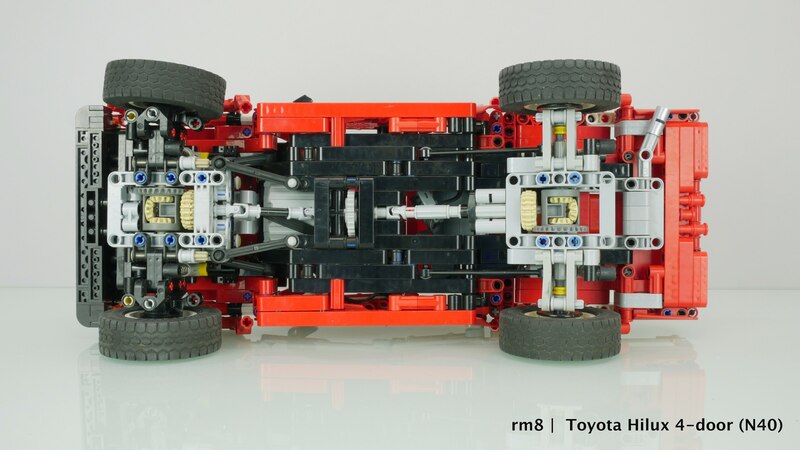 The chassis is unbelievably compact and clean. 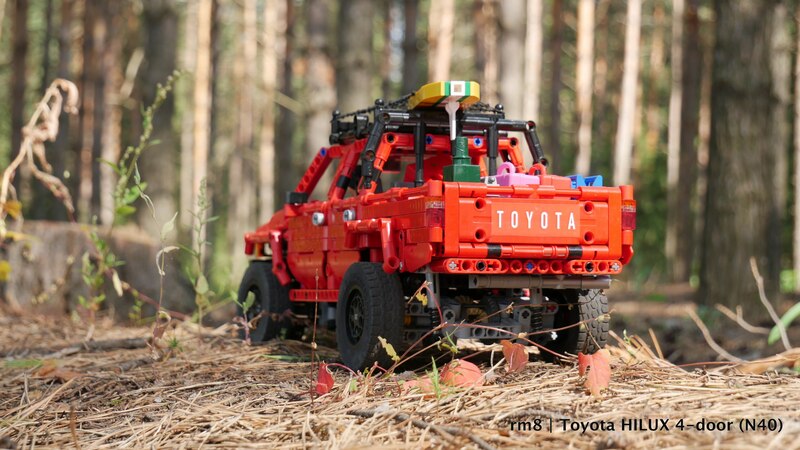 It's amazing, that something so compact can behave that well off-road. And the video presentation is perfect as always. Real joy to watch. Thank you for sharing. This is a great inspiration. That’s the funny moc,Is this moc will have building instruction? This is really great. I liked it so much I built it in LDD as practice. Hope you don't mind! Let me know if you'd like the LDD file - it's grouped so should be easy to build from. 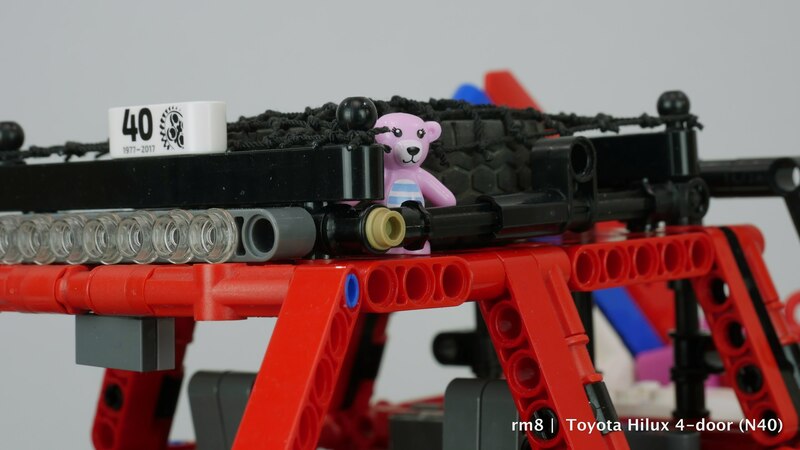 Thanks to your great video + photos, the only bits I am unsure about was the 4x2 black L beams under the seats which don't seem to be connected to anything other than the seats. 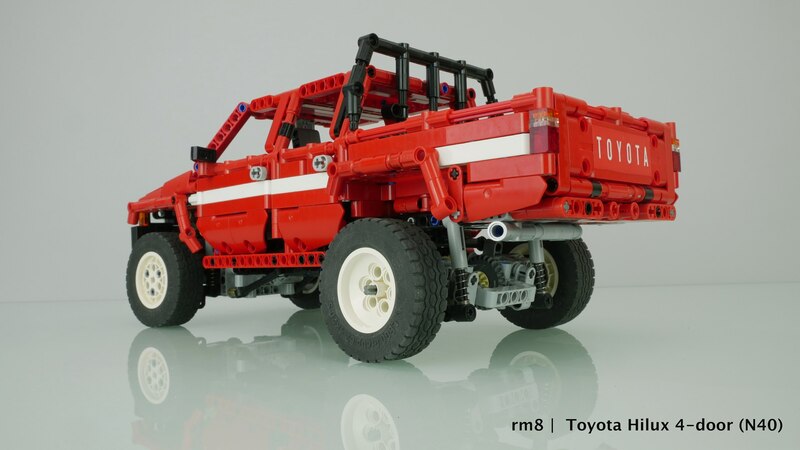 Sorry for resurrecting an old thread but I’d l8ke very much to build this excellent MOC. Any chance for instructions ? Or anyone has any ?